Interesting new stats from a study shared with me by Russian data analysis firm and app studio Empatika provide a picture of how some of the most popular apps in Apple’s App Store are reviewed, and what strategies seem to work best in securing positive feedback. Empatika co-founder Bayram Annakov explained in an interview that for the most part, app reviewers among the top apps seem to want to share only positive things, and that often, the words of reviews are disconnected from the star-based rating that accompanies them. Empatika used sentiment analysis to analyze around 500,000 reviews and see what reviewers were saying about some popular App Store titles, including Facebook, Twitter, YouTube, Instagram and more. What they found was that of the reviewers covered in the survey, a massive 52 percent posted only positive reviews, while 43 percent posted both good and bad reviews, and only a tiny 5 percent had registered only negative feedback through the App Store itself. There’s a tendency on the part of app users to only express themselves via Apple’s official marketplace channels when they’re pleased with something, Annakov says, which means that if app developers are just looking at App Store reviews, they aren’t getting the full picture of why their app maybe isn’t doing as well as it could be. I liked the concept behind it, but this app crashes every couple of minutes. Complete unusable. Likely, if you’ve browsed through user reviews in the App Store yourself for any length of time, you’ve probably seen similar things. And that’s also a problem for app developers, Annakov says, since they’re not getting an accurate picture of user satisfaction if they’re just looking at cumulative number ratings. Sentiment analysis could provide insight into what needs fixing before it goes off the rails, he suggests. 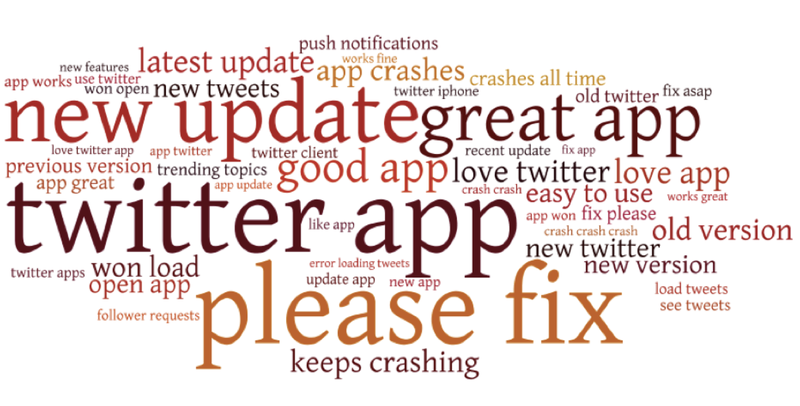 To illustrate what kind of insights can come out of sentiment analysis, Empatika created some word clouds from reviews of the top apps it analyzed. Check out the gallery below to see more, but the one that really stands out is the YouTube app, where “bring the old app” is obviously something users are saying a lot. 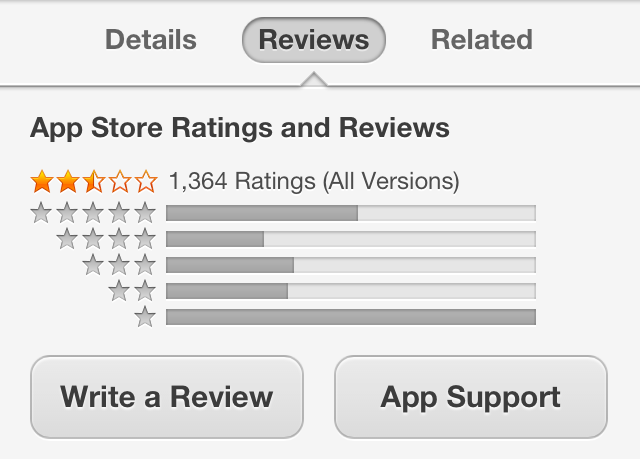 What’s the best strategy for App Store developers to take advantage of reviewer positivity bias, and also get some meaningful negative feedback as well? Annakov suggests soliciting an App Store review from your users, but only after they’ve spent a certain amount of time in-app – finding a threshold where engagement levels appear to indicate a positive experience will result in higher ratings. Also, build in a separate feedback tool, where you can solicit honest opinions via direct contact with your users, instead of through the App Store mechanism, which limits what kind of access you can have.